We just love it when clients come away with their expectations blown away. 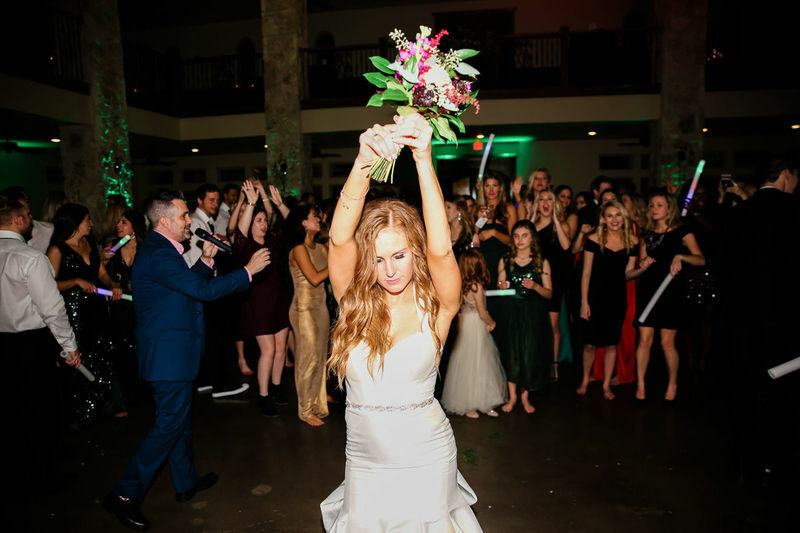 DJ Cratin Sheffield (who was recently nominated for the AACWP Vendis) loves creating unforgettable moments for his clients – Clay and Caley were no exception! You can just hear Clay’s excitement in this review! 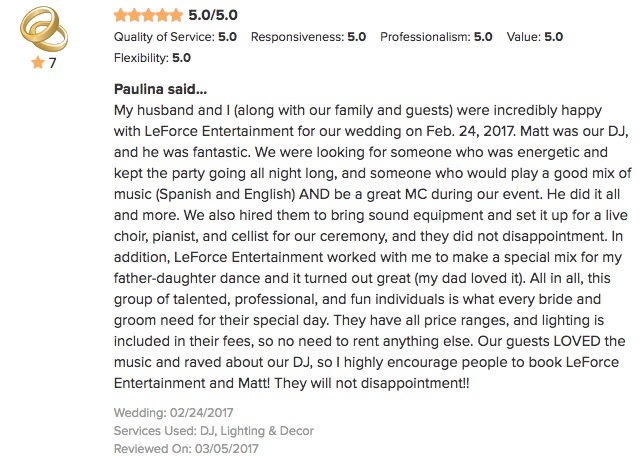 This review is extra special to us here seeing as it was our 1,000th WeddingWire review. 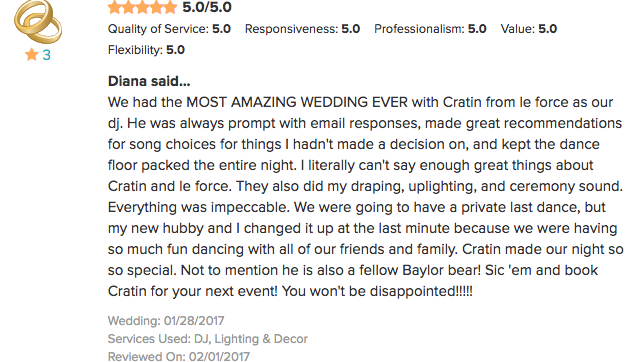 We appreciate so greatly when our clients take the time to review us and let us know how our events went! Some amazing shots of Clay and Caley’s Tuscany Hill wedding with Cratin – check out that dancefloor! 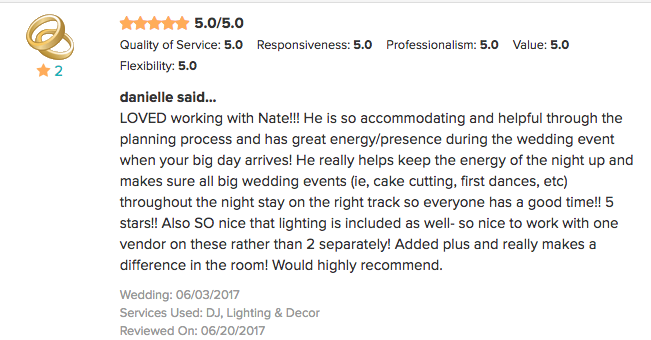 DJ Nate Nelson uses his experience in the wedding industry to not only be an amazing entertainer, but also to act as a coordinator! Your night will be effortless and the timeline will run smoothly with him on the mic. 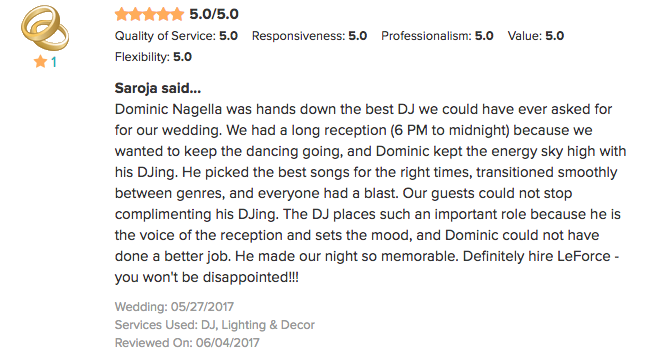 If you want your reception to be a high-energy dance party that won’t stop until your sendoff, DJ Dominic Nagella is your guy. 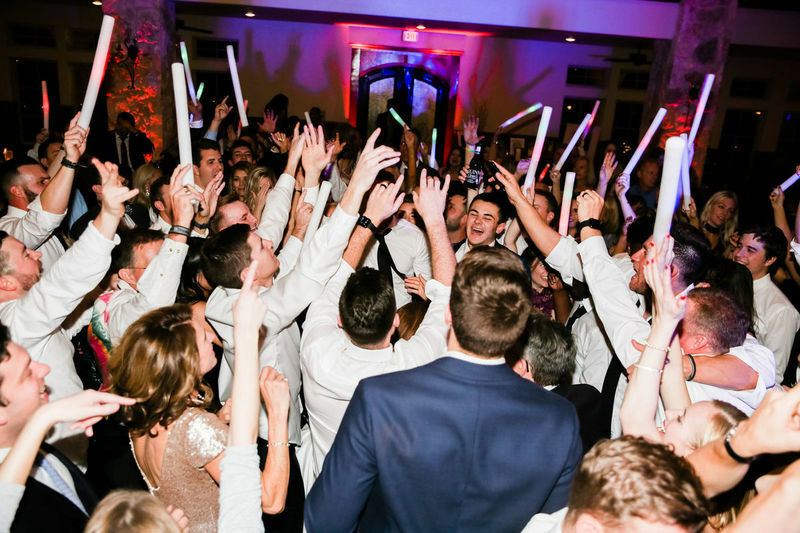 If you want someone to keep the party going and be sure guests of all ages are having a great time at your event, DJ Matt Murtha is your guy! 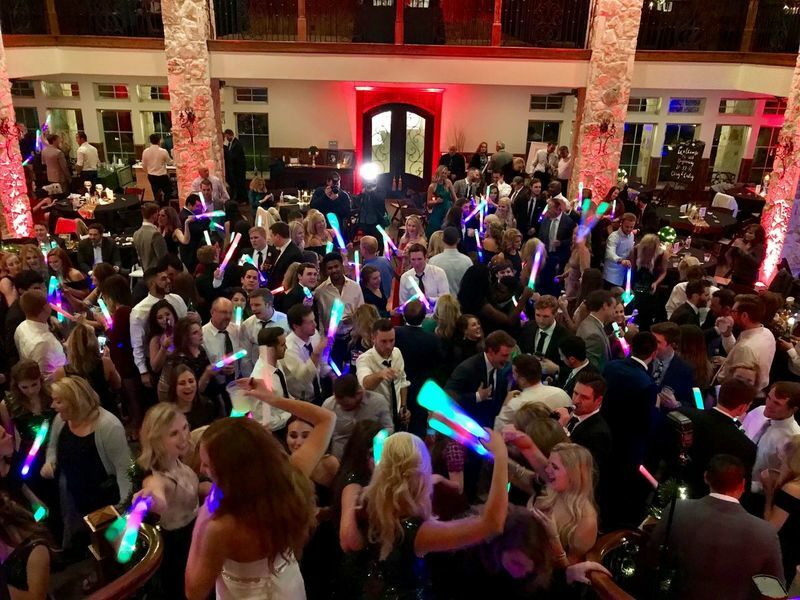 Your party will have the energy and excitement you want, and the professionalism you need from a DJ/MC. We loved celebrating Brian and Diana’s love with their family and friends! 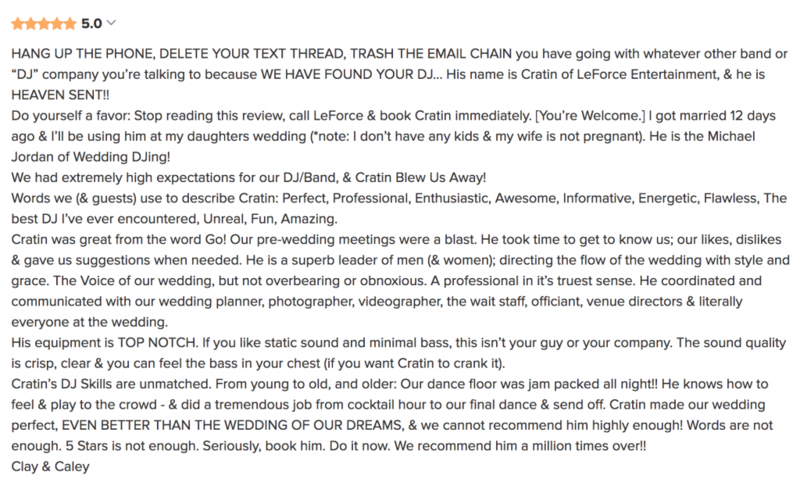 Check out this awesome review about DJ Cratin Sheffield. 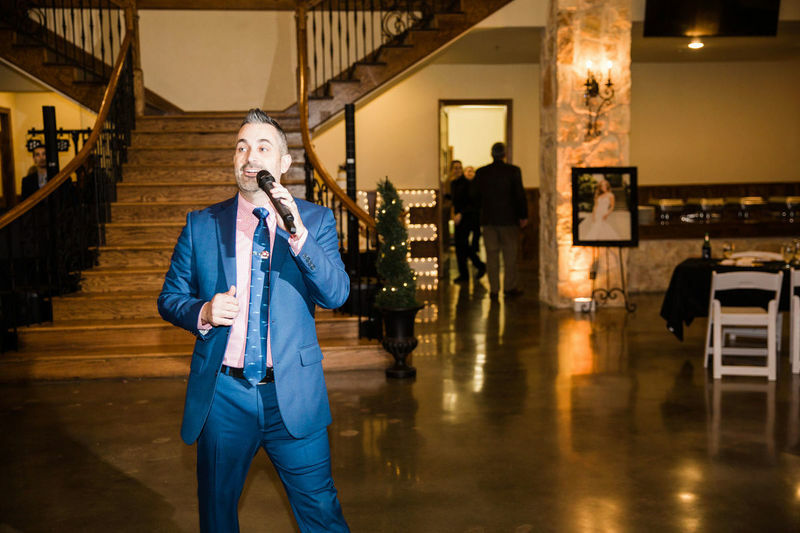 You’ll never have a boring reception or a last minute idea he can’t seamlessly execute!